Earlier in November, the Dodgers exercised their option to bring back second baseman Logan Forsythe for another season at $8.5 million, perhaps making evident that the team views the 30-year-old Memphis native as the main guy at the keystone moving into 2018. But there’s one potential problem with the way the roster may shape up—there’s nobody at all on the radar who bats left-handed and can play second base. 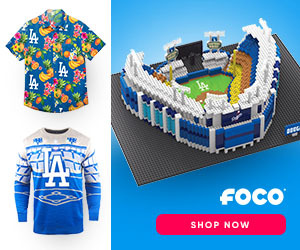 Sure, Forsythe could conceivably play every day, and there ‘s a whole slew of players who can provide cover at second—Enrique Hernandez, Chris Taylor, Austin Barnes, Tim Locastro, or even Justin Turner, in a pinch. However, all these options are righty hitters, and it will be very atypical of Andrew Friedman and his crew not to have a left-handed hitting second baseman on the 25-man roster, especially considering the way Forsythe has hit righty pitching throughout his career. For the entirety of the 2017 regular season, Forsythe hit just .190/.315/.262 in 286 plate appearances against RHP—a scary thought when considering that roughly two-thirds of the starting pitchers in the majors throw from the right side. Career-wise, his numbers are a little better, but not stellar by any means, as he has a .236/.317/.344 lifetime mark against right-handers. In the greater scope of things, a .344 career slugging percentage for a player hitting in the middle of a lineup with championship aspirations is just a bit grim. And the scary thing is that the Dodgers don’t really have any second base prospects on the upper levels of the farm who bat left-handed. Willie Calhoun, a Top 5 team prospect who was dealt to the Rangers last July for Yu Darvish, showed a little bit of promise, but even so, Texas doesn’t have much hope for his glove, as the club utilized the youngster as a left fielder in 18 games when he was brought up after rosters expanded. Max Muncy should be back with Triple-A Oklahoma City next year, and could be a far reach to provide cover at the keystone, but the 27-year-old former Oakland Athletic is more of a corner infielder/outfielder type of utility man—almost a clone of Rob Segedin, if you will. In all, Muncy hit .309/.414/.492 with 12 long balls and 44 RBI in 109 games for OKC last year, however, he only appeared in nine games at second base. All things considered, Forysthe does have a number of bright spots, most specifically his outstanding defense, his ability to hit anywhere in the lineup, and his propensity to get on base. And if he can carry a bit of momentum into the beginning of 2018, unlike his injury-riddled beginning to last season, maybe things will play out differently. After all, he did have a very productive stretch in the 2017 postseason. The Dodgers brought in Forsythe last winter for the main reason of generating offense against southpaw pitching after the club as a whole hit below .210 against leftys for the entirety of 2016—and for that purpose, he delivered. Yet, when pondering Forsythe’s career numbers against right-handed pitching, there’s a very good chance the Dodgers make a move to bolster the offensive side of things at second base. There’s about a zero chance that Chase Utley returns, and even if he did, it’s doubtful that he could provide any more pop at the dish against right-handers than Forsythe. As far as free agent second baseman who hit left-handed go, there are a few options in Jose Reyes, Cliff Pennington or Danny Espinosa, but considering the tendencies and aspirations of the Los Angeles front office crew, they may prefer to make a bigger splash through a potential trade. Been looking at rosters, the Padres have been listening on Solarte, do you think the Padres would be asking for a lot for him, or would like to open up some room for Urias, and save some money? Non of the free agents options, for left handed batting second basemen, look like very good options. I don’t know, man. 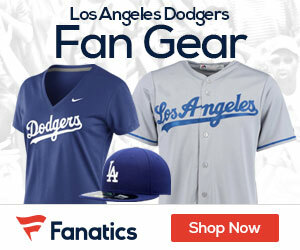 I kind of have a hard time believing the Padres would deal with the Dodgers now that they are on the up and up. I am one of those who also believe that they kept a lot of Grandal’s negatives a secret before they dealt him—not that it mattered much anyway. Regardless, I really didn’t think that second base was that big of a hole until I actually broke down Forsythe’s numbers. Kinda makes me believe that a lefty-hitting second baseman could be at the top of the priority list—or at least up there. A lot of people keep mentioning Gordon’s name. 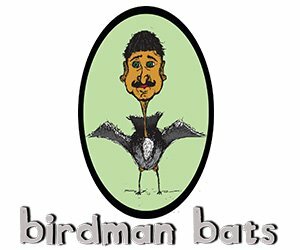 Solarte wouldn’t be a horrible option but I very much doubt he would be Friedman’s first choice. I could see him somehow being included in a deal to get Hand, but that would cost us quite a bit in prospects. For a team that got within one game of winning the WS, there are a lot of possible moves that could be made this winter………..or very few. Ah, to be a fly on the wall in Andrew’s office. It’s actually pretty simple. Move Chris Taylor to 2B. If Gonzo is healthy, Bell8nger plays CF and you also have Joc, Toles and maybe Verdugo at some point. If they acquire an OF, whether Stanton or someone else, they have plenty of OFers, so Bellinger is at 1B and Gonzo on the bench. Forsythe becomes a super sub like Hernandez. Why doesn’t Forsythe work on switch hitting? I worked on switch hitting and became a better hitter from the left side because I had a dominant eye from that side. I also had greater timing and power from the left side. It can be done, trust me, that is if a millionaire wants to make the effort. Some guys are simply happy working on picking up their pay check. I’m thinking along the lines of what Glpeck posted. Seems like it might be easier to find an outfielder or use some combo of what we already have and move Taylor to 2nd. I don’t see Agon being healthy enough to move Bellinger to the outfield on a regular basis but he can certainly play a good outfield if that actually does happen. I can’t believe I’m saying this but I wouldn’t be horribly upset to see Gordon back here if it only amounted to taking on his salary and didn’t cost much in prospects. There is also Cesar Hernandez in Philly who seems to be available. There again, we wouldn’t want to give up our best prospects but he is a switch hitter. With regard to Forsythe learning how to switch hit, I can’t remember any player who ever did that at this stage of his career. Not that it would be totally impossible, but probably highly unlikely. No one has ever accused Forsythe of being a slacker so I don’t think that’s the problem here. I’m assuming gaggee that when you learned how to switch hit, it wasn’t against major league pitching. I hit from both sides from the time I was eight years old until I was a sophomore in HS. At that level, I just couldn’t hit it out of the park from the right side. So from then on I hit exclusively from the left side. Switch-hitting isn’t as easy as it sounds. I’m not saying we should replace Forsyth , even if we move Taylor to second it doesn’t change the fact that they won’t have a lefty bat to play on days they want to sit whichever righty is at second, or give JT a day off against a tough right handed pitcher. If we trade Grandal, like some people suggest, and we don’t replace Utley’s left handed bat, where are the left hande at bats, and pinch hits going to come from. I hope whoever the front office finds, has the kind of impact Utley did. I’m not sure about Gorden, he has a pretty high salary, and defensively he only plays 2nd. I think they would look for someone who could play a little third base. Lastly I think Forsyth will have a better season, he has a year’s experience in the national league, he should know the pitchers better, he looked good in the playoffs, and it’ his walk year.